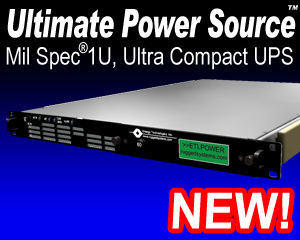 ETI0001-2238 is specifically designed for lightweightglobal power deployment or equally well in shallow depth racks including TAC-4 racks andinterfacing with any of numerous ETIPDUs. ETI0001-2238 has the added benefit of having a front drawout hot-swappable battery module. For more information, see the Battery Technology section. The two status D shell connectors provide both a contact and serial interface with optional computer software providing loss of AC and low battery status as well as remote shut down capability.